Hi guys. So, time for my monthly check-in! March was a weird month. I mean, numbers-wise, it was kind of a fabulous reading month for me. I finished 12 books (! ), and one of them was over 1,200 pages, so I mean, that sounds super amazing. But at least 4 of those books were re-reads, and almost all of them were read for escapism, which was actually kind of unhealthy. It was just, life got really stressful. Everyone got sick at some point, and I had some major projects due, and another set of papers to grade (the bane of my life), and a conference out-of-state I had to travel to (that was actually kind of fun), and then five days of solo-parenting, and I just felt really, really tired. It was sort of like I spent February being so disciplined and working really hard, that I just exhausted all my willpower, and really needed a break, but then I didn't get a break, and life kept feeling hard, and so I ignored my kids and my homework and responsibilities and escaped into light and fluffy reads as a way to sort of cope. But it just made things worse. This was the 1,200 plus page beast I tackled. This book proves, at least to me, that even though I've set a rather high numbers goal for myself this year, that doesn't mean I'm afraid to read long books (which is always the danger when you fixate on a numbers goal). Not that this was War and Peace, but still, nice to know I can tackle big ones. 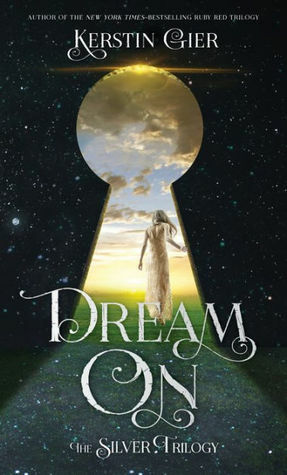 As far as the book itself, if you're not a die-hard fantasy fan, just stay far, far away. 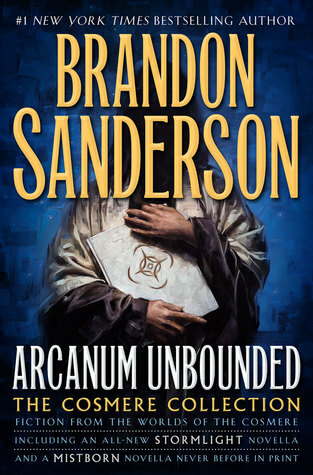 I for one really quite enjoy Brandon Sanderson. He's just incredible at world-building, and it's a fun ride. I was talking to someone else about this author, and she was complaining that Sanderson only writes one dimensional characters, and when he wants to make them more complex, he essentially has to turn them into a weird schizophrenic split-personality thing. It's a fair criticism. But then, I'm just here for the escapism. I feel like this one's been getting a fair amount of attention recently, and I'm not sure it's entirely deserved. I mean, the story and the real-life history behind it are very interesting and compelling (in a heart-breaking, I can't believe this actually happened, kind of way). But the writing itself is mediocre at best, and the modern story-line (it jumps back and forth) was not my favorite. Anyway, I wouldn't call this a must-read, but it is interesting. This one was, without question, my favorite book I read this month. It was just so sweet and lovely, beautiful writing, and characters I really fell in love with. I related so much with Beatrice and her fierce desire for independence and wish to be recognized for her brains and abilities, but also how she changed her mind and was open to love and marriage when the right one came along. It was perhaps a little too sweet for a book about WWI, but I didn't mind. I just thought it was so beautiful, I didn't want it to end. Highly recommend. This was the beginning of my search of really fluffy reads. I'd heard this one compared to The Night Circus, and since I loved that book I was happy to pick this one up. And, I can see why the comparison was made, but I didn't care for this one nearly as much. The world building felt rather... unfinished to me, and the plot hobbled along, and the romance was ridiculous. But it sure accomplished it's task of sucking me in and letting me escape for a few hours. 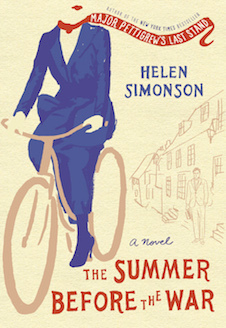 If you want an escapist read, this one is fairly clean (just innuendo and kissing). 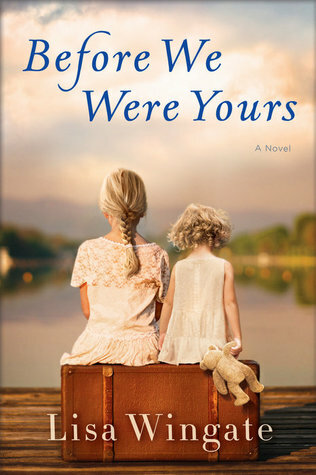 Speaking of fairly clean romances... highly recommend this one! This was actually a re-read, I picked it up again because my book club read it this month and since I was hosting I thought I better brush up on it. 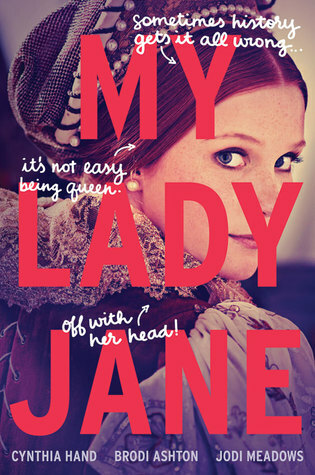 Oh, I adore this book! It's not perfect, but it's still so cute and quirky and funny. Definitely escapist for me. This is actually a collection of short stories. I picked this up because I wanted to linger in Sanderson's cosmere just a little bit longer after finishing Oathbringer. And this was a fun collection. Some of the stories were better than others, but I enjoyed it all. This was a re-read binge, and I was definitely looking for escapism reading here. This series is fun, but probably the epitome of light and fluffy (while still fairly clean). It was fun to revisit. Second book in the series. Did you know these were originally written in German and translated to English? But they take place in London. 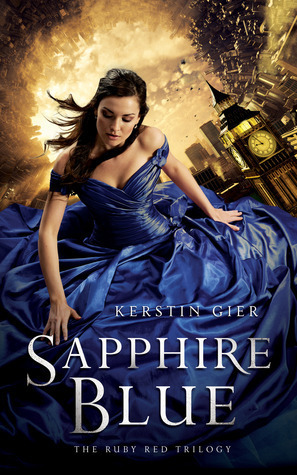 Third book in the series. The one where I realized there are some major plot holes in this time-travel fantasy, but somehow, it doesn't matter. 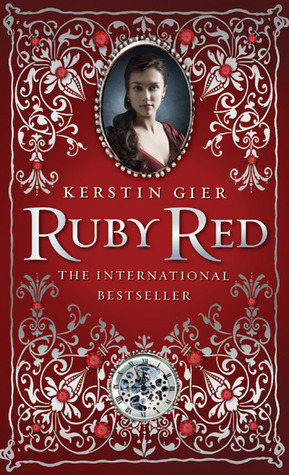 After finishing my re-read of the above trilogy, my library informed they had this new series, also by Kerstin Gier. So of course, I dove straight into it. The premise of this one was interesting: shared dreams (think Inception) and demons and satanic cults. I wouldn't say it's quite as good as the Precious Stone trilogy, but it was fun enough that I immediately checked out the second one. 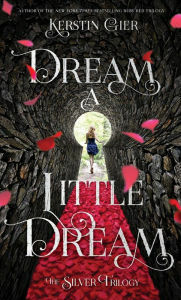 This one still had the shared dream thing, but the story-line went in directions I wasn't expecting. Not quite as good, but still fun. I would've read the third one too, but either it hasn't been translated into English yet, or my library just doesn't have it yet. I'll keep my eye on it and hopefully they get it someday, because it's fun enough to finish. But boy, I'd sure read a lot of fluff by this point in the month. This was my attempt to return to more serious, satisfying reading. Alas, it wasn't quite a hit with me. 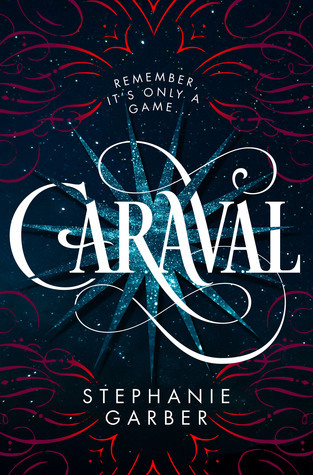 I can see why someone else might love this book, it has a lot of the hallmarks of books I usually love (character-driven, really beautiful writing, etc. 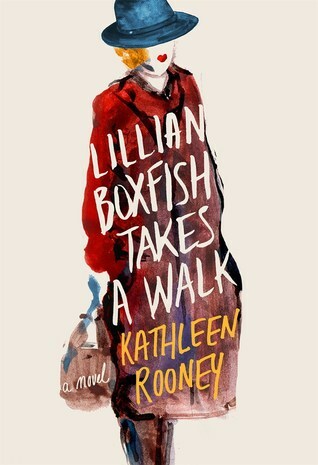 ), but I just didn't really connect with Lillian Boxfish, and couldn't bring myself to care. I still think it's good, I just didn't love it. 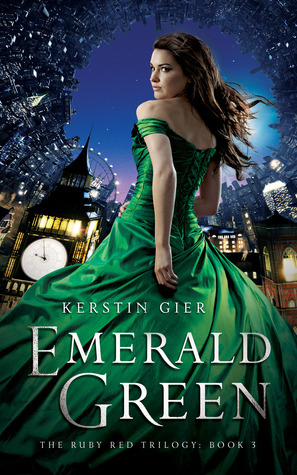 I'm curious, if you've read this one, what did you think of it? Okay, there we go. What a month of fluff! Please tell me that I'm not the only one who has escapist binges like this! Anyone else do this too? 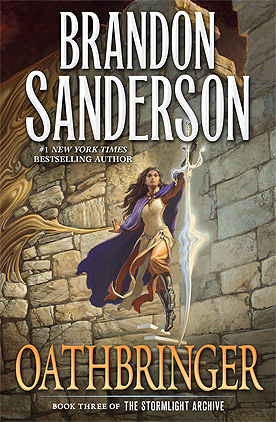 My husband is a huge Sanderson fan, so he's beyond happy that my book club chose a Sanderson pick for this month (Elantris). I, for one, am a little less than thrilled about it, but I'll at least give it a shot, ha ha. Here's hoping that you have the energy and health you need to power through to the end of the term...you're almost there! Hm, Elantris is by far his weakest book (it's his earliest published, and he's definitely still figuring out his style). So don't expect too much. I gather you probably aren't too much of a fantasy fan in general, but I find lots of interesting things to think about when it comes to world-building (like I mentioned earlier, don't be looking for incredibly crafted characters or that kind of depth). I'll be interested to hear what you think about it. Yes! I do that too. Pretty much all of December for me was pure escapism. I usually turn to nonfiction for a reset after that. I haven't read your two favorite from this list, so thanks for the suggestions! I'm getting a book club started here, which makes me really happy. Ready to have bookish discussions with friends on a regular basis again! Hope your last few months (or is it weeks?) sails by. It is weeks at this point (four! ), which is both wonderful and terrible (so much still to do!). Yay for starting a book club! Love writing/talking about books here, but there's something so wonderful about discussing books face to face with friends.